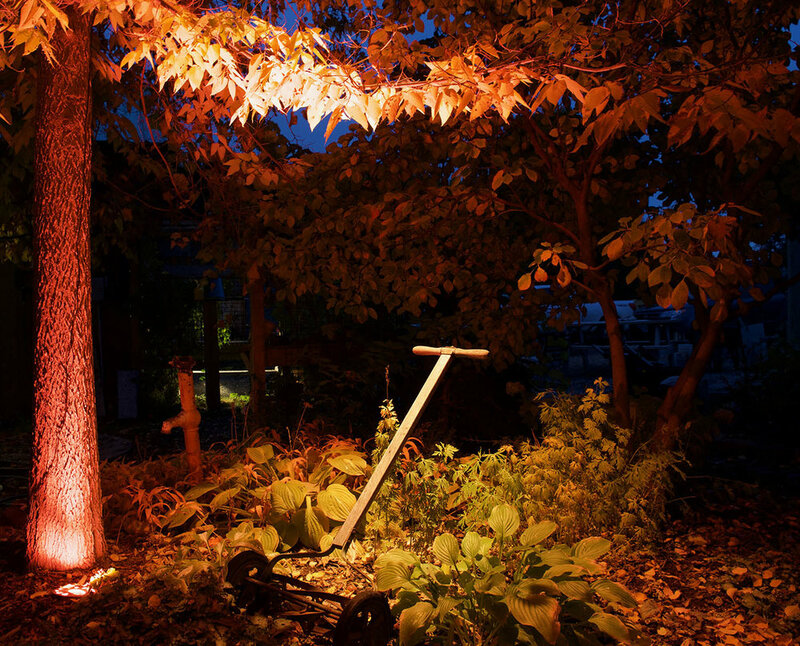 Perhaps the most overlooked and undervalued piece of landscaping is outdoor lighting. It is easy to view it as another line item simply cut to manage a budget. However, quality outdoor lighting, installed correctly has many values and a longevity to merit its cost. It extends the usability of your patios and seating areas into the evenings and seasons. It illuminates stairs, pathways and driveways for safety and with elegance. It can be used for added security around a property while highlighting trees, boulders, sculptures and other features for a unique perspective. And if it is installed by Gardenwerks, it is Fx Lighting and is fully programable with the capability to be operated from your smart phone. Of course it is easier to install outdoor lighting in new landscapes, but mature landscapes are ideal candidates. Please contact us with any questions and a tour of what Fx luminaire lighting can do for your home or business.